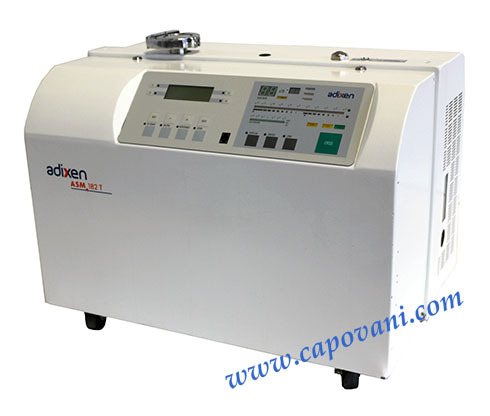 In addition to this Adixen ASM 182 T, Capovani Brothers Inc stocks a wide range of used and refurbished helium leak detectors. Typical manufacturers include Alcatel, Adixen, Inficon, Pfeiffer, Leybold, Varian. To view our complete stock of used helium leak detectors visit our Helium Leak Detector category. Full automation fo test cycle including: cycle sequence, memorization of last test, test result display. Remote control pendant is not included but can be purchased directly from the OEM.